Many people are exploring the benefits of residential solar energy. With the recent introduction of several tax rebates and incentives, residential solar power systems offer great economic savings to home owners who are looking for affordable alternative energy and electricity. If you’re thinking about installing a home solar energy system in California or Hawaii, Avatar Solar offers the comprehensive solutions you need, from design to financing. With over 10 years in the solar power industry, Avatar Solar is the most experienced installer of home solar energy systems. 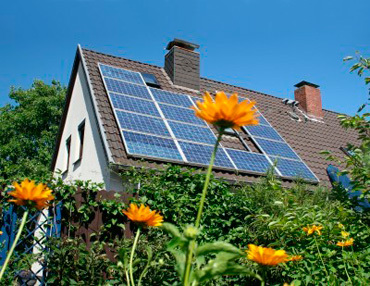 Increased Property Value: Solar power systems add value to residences and homes. Reduced electric bills: Solar energy can eliminate annual electric bills. Additionally, the Net Metering law allows home owners to sell surplus electricity produced by solar energy back to the utility company. Net metering can reduce or eliminate the cost of annual electricity. Tax Incentives: State rebates and tax incentives can replace approximately one-third of the construction costs. Solar energy systems are also exempt from property taxes. Unlike other photovoltaic companies, Avatar employs experienced, licensed and bonded electrical contractors. Every solar energy system that our company installs is designed, engineered and built by our skilled employees. Avatar aims to provide solar power solutions that are tailored to each customer’s specific needs and our team takes a fresh approach when working on projects to ensure that we exceed even the most discriminating customer’s expectations. At Avatar Solar, we have developed a staff and construction process that enables us to deliver turn-key projects that present clients with great return on investment. We pay special attention to kWh production at optimal hours of the day to increase the dollar value of the energy produced according the local utility rate schedule. These extra measures and our commitment to customer satisfaction set us apart from other residential alternative energy companies. If you are in need of photovoltaic home financing, Avatar’s expert consultants can create financing solutions that are tailored to your individual needs. With a 25 year manufacturer’s warranty and a potential lifespan of 40 plus years, your residential solar energy system will create free electricity years after it is fully paid for. 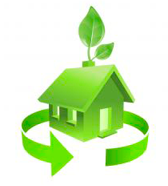 Set up an energy consultation for your residence.